2017 Holiday Catalog by Stampin’ Up! Ep.#582 ~ One Sheet Wonder | Bella and Friends! Hearts Come Home Bundle by Stampin' Up! 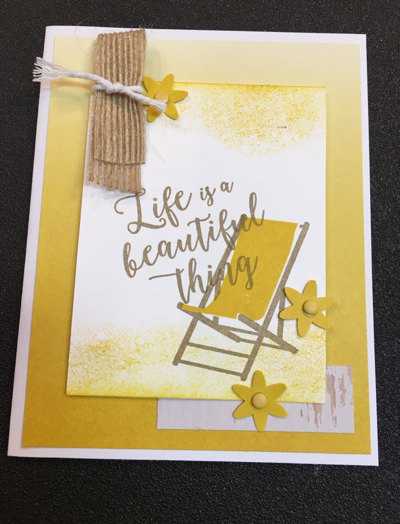 Just sharing one of the cards from this months current "Free Kit with Purchase". It features my favorite go-to set, Colorful Seasons. I reach for this ALL the time and it has the most perfect images for all seasons. I will have a new "kit" coming out next week with some beautiful cards using the super cute stamp set Bella and Friends! Labels: #cardmaking , #colorfulseasons , #stampinup , #thehappystamper , Cardmaking , Colorful Seasons , Stampin' Up!